1. Unconscious Bias Workshops: Why and Who? Below is our interview with Katie Peek, an astronomer turned data visualizer. After receiving her PhD in astronomy she went to NYU to get a masters in science journalism. She then interned as a writer and editor at Popular Science magazine, and stayed on to become a designer and then an editor. More recently she has transitioned to an independent career as a information graphics editor. She describes her path and her working environment. If you have questions, suggestions, advice to share, etc. about this career path, please leave a comment below. 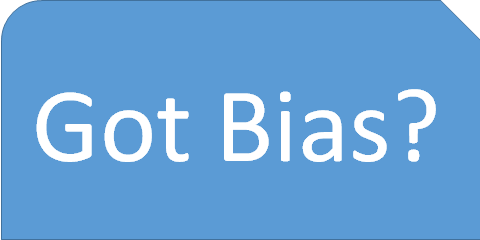 Unconscious Bias Workshops: Why and Who? Many universities and other organizations have begun training their employees or students about unconscious bias, and some readers may be thinking about proposing this in their organizations. I don’t mean the training of faculty search committees that has become fairly routine now thanks to efforts like the U. Michigan Advance Program’s STRIDE Faculty Recruitment Workshops, which have set a model for higher education. Instead, I refer to the systematic effort to reach most or nearly all employees, including faculty in universities. This is a big step for any organization to take, though it is easier for some than others. Fortunately, there exist good models in both corporations and universities. Before reviewing what has been done in this area, we should ask why organizations are doing this. Why encourage or require all of your employees to take a 1-, 2- or 3-hour unconscious bias workshop? A common answer is that unconscious bias widely affects our judgment about people in ways that are counter to our organization’s values or mission. For example, the culture of astronomy and other fields of higher education adopts meritocracy as a fundamental ideal. Meritocracy is appealing, but who determines merit, and how? I have never seen a tenure committee or a graduate admissions committee defer to a computer algorithm; the practice of the academy relies on expert judgment, usually without recognizing that each expert has a “personal equation” (to use the wonderful phrase describing the bias present in individual’s eye-based measurements of photographic plates) needing to be corrected. Education can lead to process improvements and, thereby, to improved outcomes. Another reason for having universal unconscious bias education is to start a process of culture change that increases the valuation of diversity and inclusion in an organization. If I discover that my automatic judgments are systematically biased, I may be curious about other ways that I and the organization are inadvertently working against the meritocratic ideal. I have seen many faculty members from privileged groups become interested in learning more once they have recognized how unconscious bias works. A final reason is that the organization’s leaders can show that they value people by responding to requests for such workshops brought by students and employees, and hope thereby to improve loyalty, morale, and pride in the organization. This is happening at a number of universities. My two best examples of widespread unconscious bias education are Google and the University of Wisconsin-Madison. Google initiated company-wide workshops in 2014, and they made public a wonderful educational video and other materials. They set a great example, as other tech companies have followed suit, including Facebook, IBM, and Microsoft. Many of our students go to work for these companies. That should inspire us to prepare all our students by putting diversity and inclusion into our astronomy and astrophysics curricula! The Women in Science and Engineering Leadership Institute (WISELI) at the University of Wisconsin-Madison has long been a leader in both research and education about unconscious bias, enhancing department climate, and related topics. They have developed a research-validated intervention to help faculty break the gender bias habit and have published results of a randomized controlled trial. Like Google, they aim to change hiring outcomes over time by helping all those involved in recruitment to make more effective use of the potential talent pool. Changing the composition of our faculties, or of engineers in tech firms, is obviously a slow process. That is exactly why practitioners should view unconscious bias workshops not as a quick fix, but as a first step -- one that must be refreshed periodically to increase awareness of the factors that inhibit meritocracy and to equip professionals with the skills needed to help everyone thrive. In later posts I will describe what is happening around these issues at my own university.